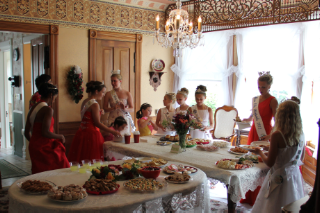 Dozens of Michigan's finest young women were able to celebrate their reign during Bellaire's annual summer festival on August 18. The area queens enjoyed acknowledging the crowds along the route while aboard their festive floats. 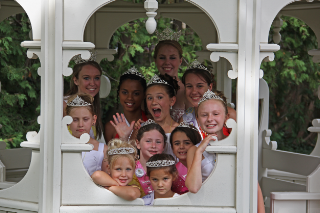 After gracing the downtown area of Bellaire, the royalty enjoyed an afternoon of light refreshments, chatting and picture taking at Bellaire's famous Grand Victorian Inn. 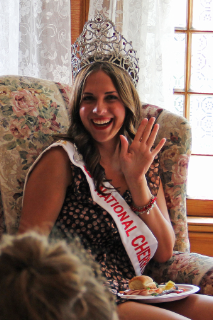 Area queens included representatives from many northern Michigan locations including Bellaire, Kalkaska, Elk Rapids, Otsego, and the National Cherry Queen, Meg Howard. Happy Memorial Day 2013. 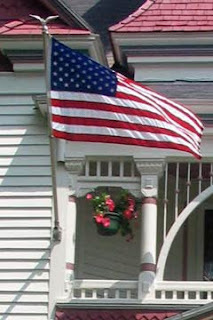 The Grand Victorian Salutes all those who have served and are now serving to defend our great country and principles. We all know them. Take some time. Give them a call. Thank them. May this Memorial Day bring great appreciation of a job well done! The Richardi House (aka The Grand Victorian) is being featured on an upcoming "Destination Michigan" TV special. This Monday's 30 minute segment will be showcasing 2 popular area attractions, Bellaire's Richardi House and the Acme Music Museum. WCMU is a PBS station located in Mount Pleasant Michigan and Destination Michigan is their popular TV series featuring historical properties and influential people of Michigan. Baked Egg dish is a big hit! 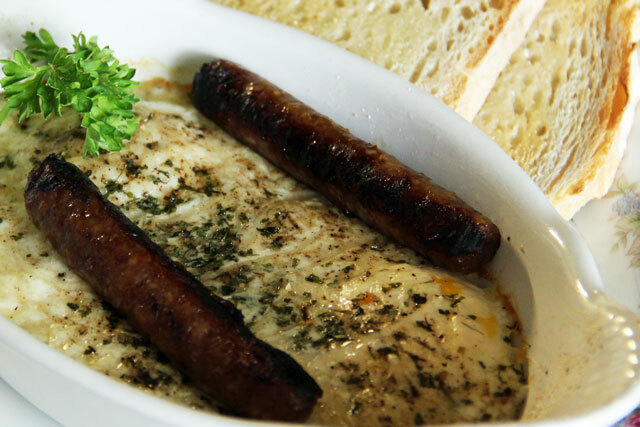 Linda wants to share her Baked Egg dish with our blog buddies. This simple to make recipe is always a hit with our guests! Please give it a try and let us know how well it works for you. Coat inside of each ramekin with 1 Tblsp butter. Break 2 eggs into each ramekin. Put 2 Tblsp of cream over the eggs which should about cover them. Spread about 2 Tblsp shredded parmesan cheese over the eggs. Sprinkle with Chervil and pepper. Bake at 375 degrees for 12 - 13 minutes until the egg yolks are done and the whites are fully set. Add some garnish, toast and a couple of sausage links and you have a great tasting twist on an All-American breakfast. Enjoy!